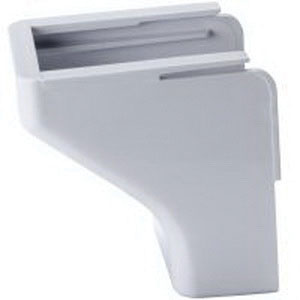 Hellermann Tyton Ceiling drop in white color, has trade size of 1-3/4-inches and perfect for use with TSR3 series 1-Piece non-metallic low-voltage surface raceway. This PVC ceiling drop with 1-Inch bend radius, has a dimension of 2.473-Inch x 2.54-Inch. Ceiling drop is RoHS compliant.